Are you a High School Junior or Senior looking for scholarship money? 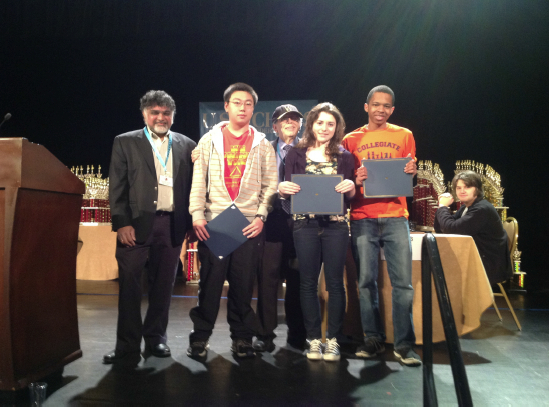 If you are a current USCF member and have shown outstanding merit in academics, sportsmanship, and chess, you are eligible to apply for a 2014 National Scholar-Chessplayer Award. A total of five scholarships are available of $1,500.00 each for a total of $7,500.00 in scholarship money. These annual scholarships awarded by the U.S. Chess Trust and the USCF, are intended to recognize and encourage high school students who promote a positive image of chess. You can download the application from the U.S. Chess Trust’s website. Click on the link below. The deadline is March 1st, 2014. Contact Susan Houston at the Scholastic Department of the USCF Office, (931) 787-1234 x136 or email shouston@uschess.org with any questions. A recent photograph of yourself – submit ONLY as a high quality jpeg photo. Your application must be postmarked no later than March 1st, 2014. Incomplete applications will not be accepted. OR Email Attention: Susan Houston at shouston@uschess.org. E-mail submissions are preferred. A special thanks to the National Scholastic Chess Foundation for their contribution to this program. Good luck to all the chessplayers! Thanks to the generosity of it’s long-time supporters, the U.S. Chess Trust continues to fund many wonderful programs including the Scholar-Chessplayer Awards. Donations to the U.S. Chess Trust are tax-deductible. The U.S. Chess Trust is a 501(c)(3) organization. Created in 1967, the Trust was organized to promote, stimulate and encourage the study and play of the game of chess as a means of intellectual development. The Trust uses its resources for charitable purposes, including social, educational, scientific, historical endeavors. The U.S. Chess Trust takes an active role in supporting chess education programs across the nation. Our Trustees act without compensation, and are dedicated to the U.S. Chess Trust’s mission. For more information about the U.S. Chess Trust please visit: www.uschesstrust.org. The United States Chess Federation (USCF), founded in 1939, serves as the governing body for chess in the United States and is now headquartered in Crossville, Tennessee. 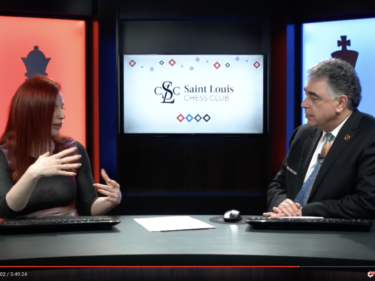 USCF is devoted to extending the role of chess in American society. It promotes the study and knowledge of the game of chess, for its own sake as an art and enjoyment, and as a means for the improvement of society. The USCF is a not-for-profit membership organization with over 80,000 members. For additional information on the USCF see: http://www.uschess.org. The National Scholastic Chess Foundation (NSCF) is a non-profit foundation organized for educational purposes under section 501(c)(3) of the Internal Revenue Code. The NSCF was created in 1991 as a merger between the Westchester Chess Foundation (founded in 1985) and the Fairfield County Chess Foundation. The Executive Director of the NSCF is FIDE Master Sunil Weeramantry. For additional information on the NSCF see: www.nscfchess.org. U.S. Chess Trust shared a post. 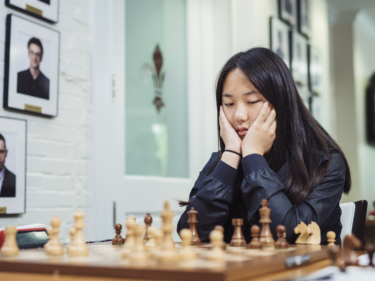 © 2019 The US Chess Trust. All content copyright protected.